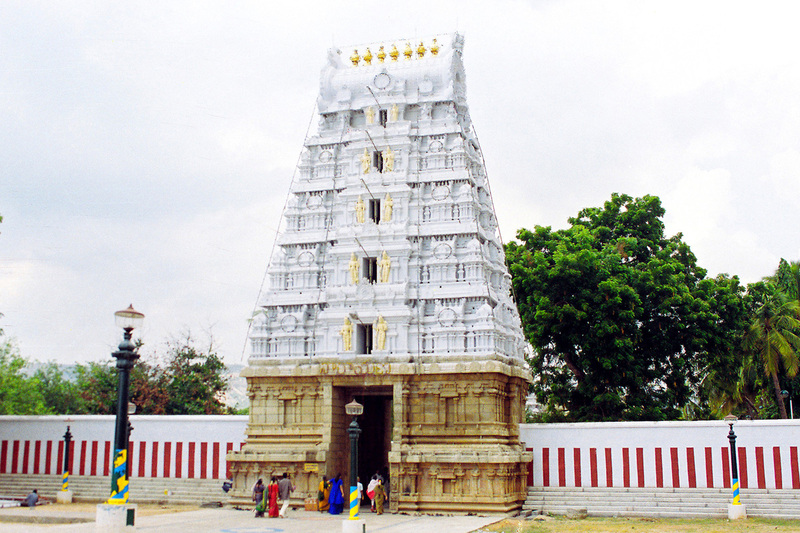 Srinivasa Mangapuram, 02 November 2018 : Sri Kalyana Venkateswara Swamy temple in Srinivasa Mangapuram, about 15km, from Tirupati, is emerging fast as most sought after deity after Tirumala. The daily footfall to this temple is 3000 while Saturdays the number is aggregated at 5000. While the hundi collections is standing at Rs.30 lakhs per month taking the annual revenue figures to 3.5cores in this temple which is under the control of Archaeological Survey of India(ASI). Already Rs.7cr has been spent towards the expansion of pushkarini, protective wall and other development works by TTD. Permission is now awaited from ASI to construct Potu, Ugranam, Vahana Mandapam, Yagashala, Dormitory Hall, Office Building etc. at Rs.5crores. The important significance of this temple is that the unmarried who perform Kalyanotsavam in this temple will soon be blessed in marital bond with the benign blessings of Sri Kalyana Venkateswara Swamy.